Jenny Woo « Girls, Guns & Zombies! Jenny Woo is a politically-charged Canadian Oi! singer and guitarist from Alberta who is “known for playing a folk-influenced style of acoustic Oi! music.” However, Woo balances her acoustic songs with enough energetic electric rock on her albums to satisfy the street punks. She was also a member of the Canadian Oi! band Birds of Prey. Her current band, based in Italy, is Jenny Woo’s Holy Flame. 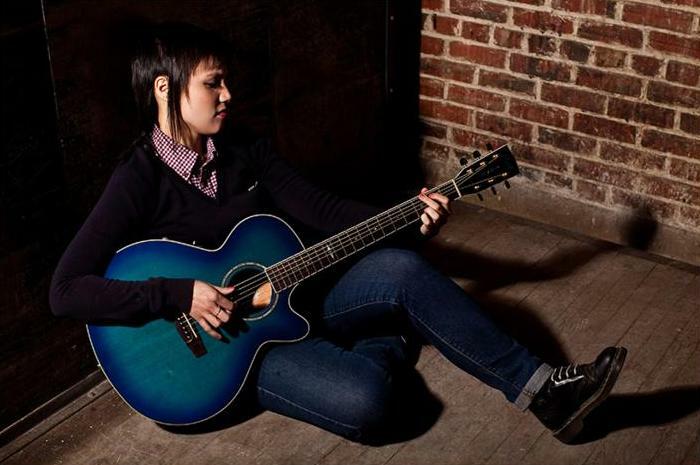 Jenny Woo is highly recommended for fans of English singer/songwriter Louise Distras. Alberta Rose (2011). 12 tracks. Randale Records. Choice cuts: “What I Am”, “We Don’t Need Their Respect”. Other good cuts: “Our Kind”, “The Evil Within”, “Alberta Rose”. The rest: “Sacrifice”, “I’ll Rise Again”, “Yesterdays Glory”, “Sorry”, “Livin’ For Tonight”, “Et Tu Brutae”, “Working Class Gospel”. “Stand Strong Together” (2013) – Louise Distras (feat. Jenny Woo). 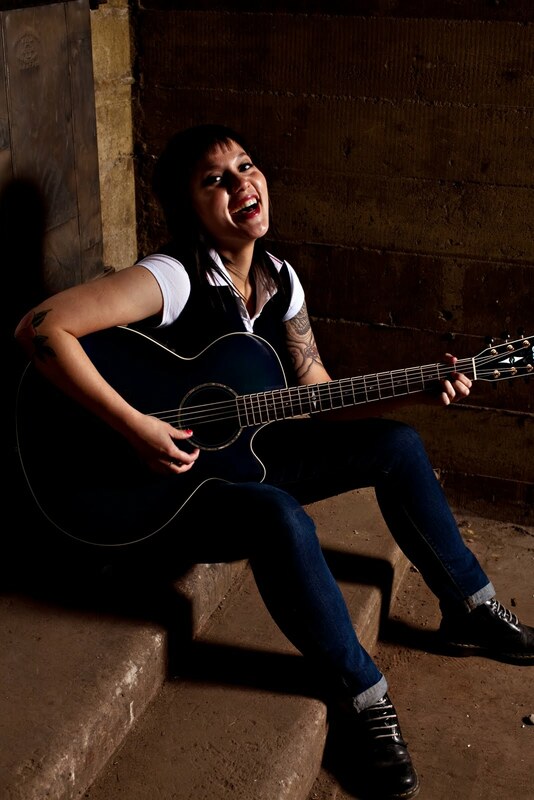 Featured on Louise Distras‘ debut album Dreams from the Factory Floor (2013). My Revenge (2014). 14 tracks. Randale Records. Choice cuts: “Apart from the Crowd”, “My Revenge”, “I Refuse to Be a Victim”. Other good cuts: “Voice of Oi!” [acoustic version], “Get Out of My Way”, “We Are the Brave”, “Should I Stay or Should I Go?” [The Clash cover], “Style over Substance”, “Fly Away”, “True Heroes”, “One More Step”. The rest: “Thank You”, “Fire Inside”, “Light at the End of the Tunnel”. Stronger (2015). LP. 15 tracks. Randale Records. Track list: (1) “Stronger”, (2) “Kids of the Streets“, (3) “Vultures”, (4) “Your Name”, (5) “Sound of the Scene“, (6) “Blue Collar Hands“, (7) “Undefeated Warrior“, (8) “Vicious”, (9) “Sick Society“, (10) “Heart And Soul“, (11) “Best Yet To Come“, (12) “Love Song”, (13) “Christmas To Me“, (14) “Marching On”, (15) “Stronger” (live) [bonus track]. Note: Stronger is a compilation of various singles, B-sides and unreleased tracks. Tracks 1-6 are taken from the Jenny Woo/Discharger split-album Clockwork Patriots (2011). Tracks 7-8 are taken from the “Apart from the Crowd” 7-inch single (2014). Proud of Every Scar (2016). 13 tracks. Randale Records. Choice cuts: “Here We Stand”, “Ignorance”. Other awesome cuts: “The Voice of Oi!”, “Divisions”, The Side We Are On”, “Freedom”, “Hated and Proud”, “Fight”, “Carry on”, “Glory Days”. Other good cuts: “I Won’t Back Down” [Tom Petty cover], “Diamonds”, “Tomorrow Never Comes”. Birds of Prey (2013). 13 tracks. Randale Records. Track list: (1) “Sound of the Scene”, (2) “Heroes of the Night”, (3) “Crazy”, (4) “Love To Hate”, (5) “All For One”, (6) “Keep On Dancing”, (7) “Everywhere You Go”, (8) “Blue Collar Hands”, (9) “Looking For Trouble”, (10) “Don’t Wanna Be Like You”. My thoughts… Jenny Woo‘s most recent release Proud of Every Scar is yet another album that will undoubtedly be on my favorite albums of 2016 list! And, once again I’m one of the last ones to know about another amazingly talented artist! She must be Canada’s best kept secret! Proud of Every Scar is filled with feisty punk anthems about unity and pride delivered by Jenny Woo‘s strong and distinctive voice. She’s angry but her anger is positively-charged and reflected in every song. From the first: “Here we stand / United and strong / Here we stand / A place where we belong / Here we stand / We’re proud of who we are / We fight to be here, we’re proud of every scar.” To the last: “O-o-o-o-h, and we will carry on / O-o-o-o-h, and we will march as one / O-o-o-o-h, although we feel the pain this fuels the flame of the torch that we carry high / We are strong, we carry on so our tradition will never die.” Proud of Every Scar will get you up on your feet with your fist pumping even if, before listening, you stood for nothing. Proud of Every Scar is a stunning achievement! 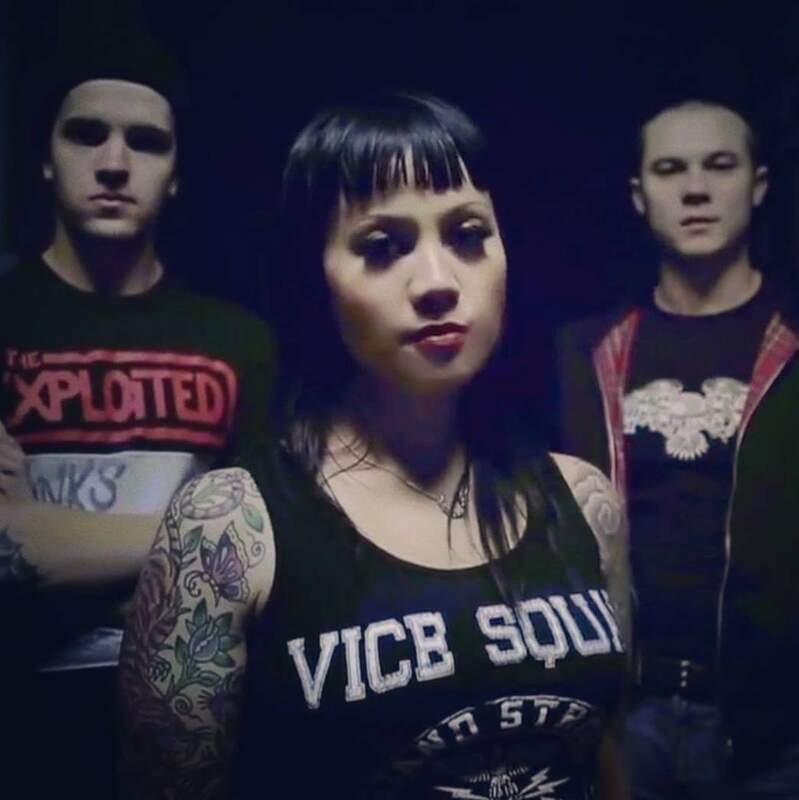 Oh, and if you’re unfamiliar with the subgenre of punk known as Oi!, just listen to “The Voice of Oi!” Jenny explains it – with an insanely addictive hook!